For a lot of entrepreneurs, the biggest ambition they have is to build a successful 7 figure business, capable of bringing in a healthy profit, and giving them the cash flow that they need to live any kind of lifestyle. Of course, these business owners want their companies to run as smoothly and securely as possible too, so that they can continue to enjoy the benefits of success for as long as possible. In today’s digital world, it makes sense to create a business that tech natives can take advantage of. As more people do their shopping online than ever before, eCommerce companies can take advantage of simpler and more effective sales models, without ever having to invest in commercial real estate. The question is, how do you not only develop an online selling strategy that helps your bank in 7 figure online in a competitive market, but ensure you have the power to keep selling over time too? People are often talking about 3 golden rules which need to be taken into consediration when deciding to start your own online business. 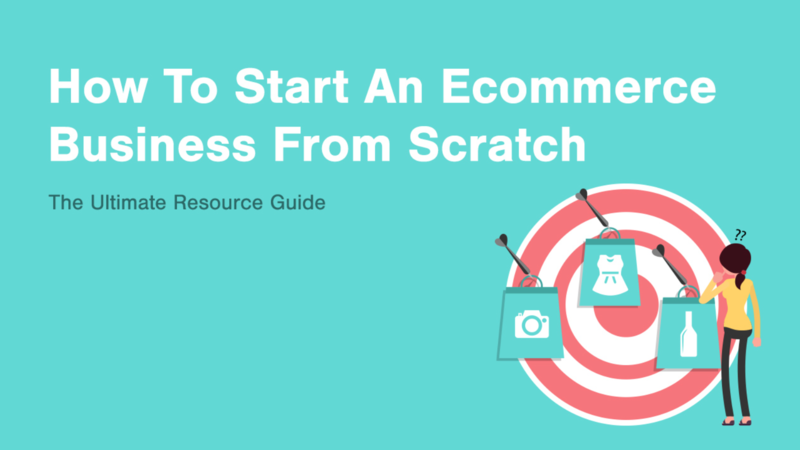 Here, we’ll look at five steps to running a successful eCommerce company that every budding entrepreneur should know before they jump onto the web. Before you ever start selling a single product, you should know exactly who your target market is. Take the time to get to know the people you’re going to be selling out, finding out where they like to spend their time online, and what kind of things they consider to be important when they’re choosing a brand to work with. Forgetting to research your audience before you go into business could mean that you end up wasting a lot of time on marketing that doesn’t lead to conversions. For instance, if you started selling a phone protector glove, you might begin by targeting your product towards businessmen who could be using their phone at work. However, after a little time, you might realize that you could have gotten more money by selling to millennials instead. If you’ve already build a reputation as a “sophisticated” professional company, then it might be hard to capture the attention of a younger audience. That’s why it’s so important to do your research in advance and figure out where you can get the most sales, so that you don’t end up missing out on crucial profits. Your thought patterns may be very important when it comes to making your eCommerce company a success. A lot of entrepreneurs’ stumble because they think of their time online as a “fun hobby” rather than a serious business. While this takes some of the pressure off during those months when you’re not earning a lot of cash from your investments, it also means that you’re less likely to focus seriously on your business. If you want to get great results from your online company, then you need to begin by seeing your eCommerce store as a real, unique business. This means that you’ve got to treat it with the same level of respect and care as you would an offline store, or a traditional shop. While a lifestyle business might be nice to have, the truth is that you can create more consistent wealth by focusing on the growth of your business in the long-term. Don’t wait around for your venture to become a bigger business, act as if it’s already making money. One of the many reasons why eCommerce has emerged as such a successful business model, is that it’s simple and convenient for shoppers to buy what they want online, rather than trailing to a physical store and browsing the shelves. Unfortunately, some eCommerce entrepreneurs have forgotten the value of convenience when making their websites, and packed everything full of complicated forms and pages. If your visitors approach your eCommerce page just to become frustrated by how many different forms and fields they need to fill out before they can pay for their item, they’re likely to simply leave your site and search for an alternative solution instead. Friction is a huge problem for many online sellers, particularly as more people do their shopping from their smartphone. Allow for saving shipping, billing, and payment information online whenever possible. Use as few form fields as you can, and add auto-fill where possible to speed up the buying cycle. Make sure that you always put your cheapest shipping option as the default, unless there may be faster solutions available for the same price. Make sure your customers can check out as guests if they don’t want to create an account. While security concerns, usability, scalability, and other factors will need to be considered carefully when you’re looking for the right tools to work with, remember that you need to keep constantly upgrading your methods to meet with the latest standards and trends. 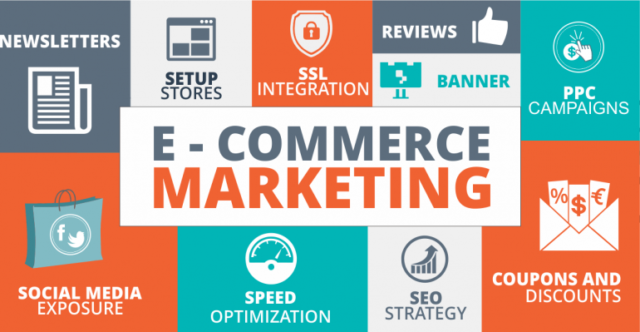 Ultimately, one of the biggest problems eCommerce companies face, is the inability to keep up with competitors because they simply aren’t running the right type of eCommerce software for their business. The tools you choose should be as scalable, secure, and user-friendly as possible, to help you get the most out of your online selling experience. Think about sitting down with an IT expert to discuss your needs and address what kind of tools will give you the best results. Alternatively, you can look for reviews and guidance online. Finally, why bother spending extra on an expensive marketing campaign when your happy customers could be the most powerful way to increase brand awareness? There’s nothing better than a glowing testimonial from a happy client to give your business the authority and credibility it craves. The more you can collect and share testimonials that appeal to your customers, the more you can encourage sales from website visitors. Encourage your customers to become ambassadors for your brand wherever possible, and make it easy for them to share good experiences with their peers. This could mean adding social sharing buttons to your emails and website, and asking your customers to offer their reviews in exchange for a discount code or a voucher. While you can spend as much money as you like saying great things about your business, it’s ultimately the opinion of your customers that’s going to have the biggest impact on your sales. Since your customers are the most valuable asset any business can have, it’s important to make sure that you know how to use them to your advantage. Running a successful eCommerce business doesn’t have to be a complicated experience. As long as you have the creativity, the ambition, and the tips offered above, you should be an incredible position to start making some real profits online. Just remember to learn from your mistakes, and continuously alter your selling strategy where necessary to get the best results. You don’t need to stick stringently to a plan that isn’t working, just because you’re worried about changing your strategy.